In 1936, the architect Ignazio Gardella designed the Chapel of Varinella, a small village near Arquata Scrivia in Italy's Piedmont region. The international Open House Worldwide initiative aims to open outstanding architecture generally closed to the general public. 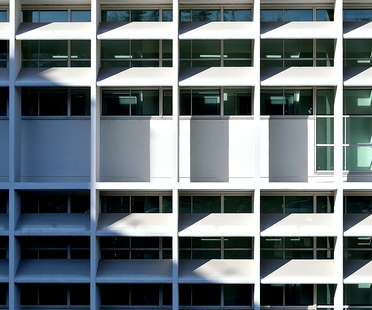 The Olivetti buildings in Ivrea: a journey through the 20th century in Italy. From rationalist architecture to industrial design, between the 1930s and 60s. The exhibition “Roberto Mariani Architetto. Inside and outside Expo 2015: Day trips to take by train from Milan to admire architectural wonders and sample local delicacies. From the theme of Expo Milano 2015, food, to architecture. Pre-Expo Milan inaugurates 17 thousand square metres at Portello; New York opens micro-plazas: a new architectural concept of the plaza is breaking down differences and going beyond fads and new technologies. The city square, plaza or piazza measures the democracy of a community, and is not just a passageway but a vital link holding together the urban and social fabric of the city. 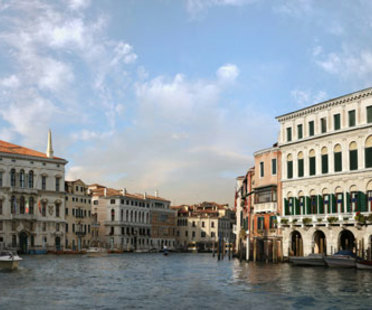 Spanish artist Dionisio Gonzalez pays homage to the city of Venice with 6 lightboxes presented at ProjectB gallery in Milan.